The Atlantic City Ballet (AC Ballet) is an internationally known ballet company that has toured throughout the United States as well as Europe and Asia. Artistic Director Phyllis Papa established the Company in 1982 as the Atlantic Contemporary Ballet Theatre. It later became the Atlantic City Ballet to help support Atlantic City art scene. The Atlantic City Ballet is comprised of culturally diverse group of 25 versatile dancers from around the world. These exceptional dancers have earned national acclaim for their technical expertise and clarity, exuberant stage presence, and the required force, delicacy and energy necessary to interpret various musical scores and ultimately deliver performances of exceptional quality. They hail from four continents - North America, Asia, Europe, and South America. 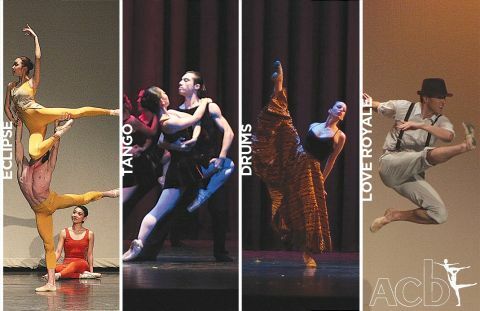 The Atlantic City Ballet presents a season of ten productions and presents approximately 40 performances annually. For more than 20 years, the Company has toured. The repertoire of original works also includes such classics as A Midsummer Night's Dream, Sleeping Beauty and Swan Lake. The company is best known for their successful production of Bram Stoker's Dracula, and a new rendition of the full length Carmen, containing the most striking choreography to reach area theaters in recent years. With the goal to develop new audiences the Company has successfully created Ballet Goes Broadway, Caught Up in the Swing and Papa and Sinatra, Their Way. Phyllis Papa, the founding director of ACB, began her training at the Royal Ballet Academy under the direction of her mother Mary Papa. From her early years with the Harkness Youth Ballet in New York City to her work with the American Ballet Theatre, Royal Danish Ballet in Denmark and Stars of American Ballet Theatre in New York City, Ms. Papa has performed worldwide. In June 1998, Miss Papa received the 1998 Brazilian Gold Medal of Honor. Diplomats from Brazil, England, Italy, China, Japan and the United States presented this honor to her in Philadelphia for her work with the Children of the World. She is on the faculty of the Richard Stockton College of New Jersey and can issue high school students up to 12 college credits in Ballet in the summer intensive at the ACBT International Performing Arts Academy. Miss Papa has been justly acclaimed "One of the finest dancers and teachers on the American scene today." In 1999, Miss Papa founded the ACBT Performing Arts Academy, the official school of ACB. The Academy houses the professional company, the International Performing Arts Camp and the ACBT Academic program. 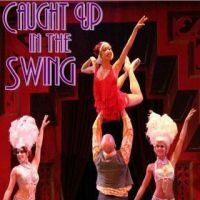 Ms. Papa has choreographed over thirty ballets for Atlantic City Ballet including Sleeping Beauty, Swan Lake, A Midsummer Night's Dream, Vision From Around the World & Visions II.